New York is full of people standing in lines. It's starting to feel like all we do is stand around, between the DMV, Trader Joe's, and cronuts. A new app seeks not only to rectify that problem, but to totally capitalize on it. 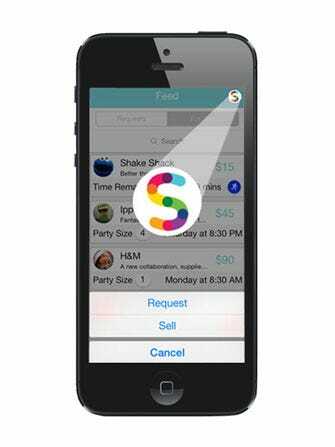 Shout allows you to sell your highly desired spot in line or a reservation at a restaurant. With the app, you can chat live with the seller to sort out the details and make direct payments. No shady cash-in-hand deals. Plus, there's a great feature that allows you to identify what shirt you're wearing for easy in-crowd identification. So, now, that elusive Per Se reservation feels slightly more within reach.